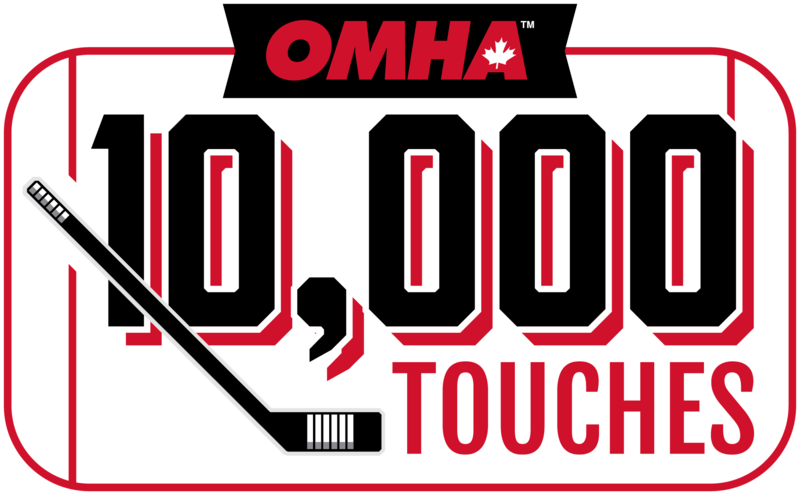 The OMHA Players Club presented by HockeyShot is all about providing new and exciting challenges to help players celebrate hockey skills and develop their game at home throughout the year! By joining the club you will gain exclusive access to hockey tips, challenges and awesome prizes. The OMHA Players Club is comprised of three challenges. 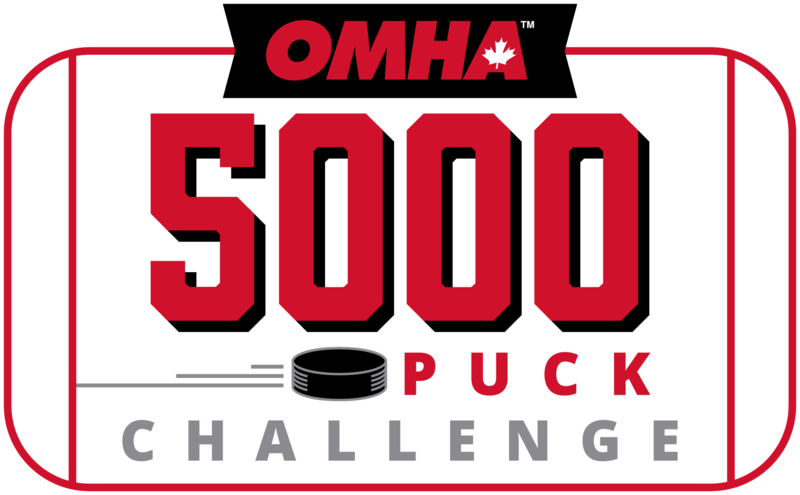 Check below for more information on the 5000 Puck Challenge, 10,000 Touches and the 30/30 Challenge. Be sure to keep us in the loop with how the challenges are coming along by staying social; use the hashtag #OMHAPlayersClub. This is a Total Development program that provides players with lots of repetition, opportunity to be creative and is engaging and fun! 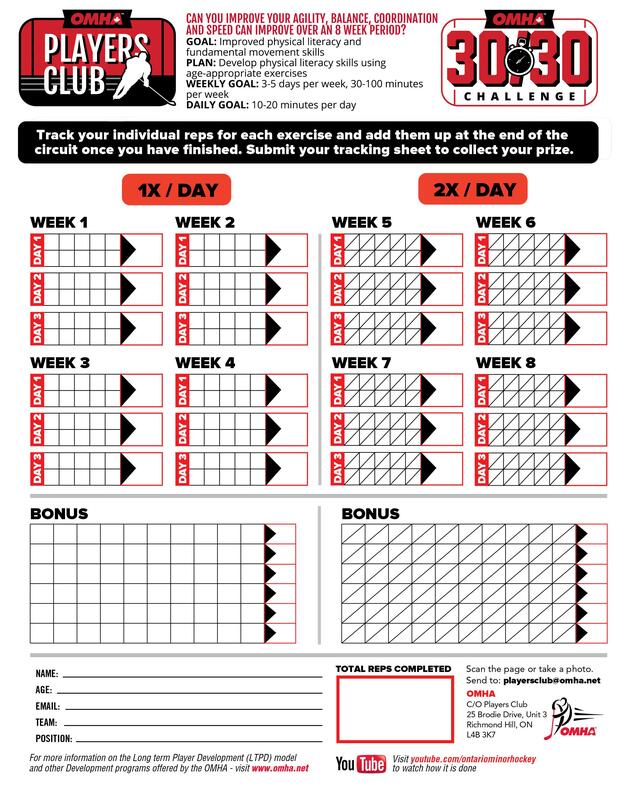 The Challenges are open year-round and there are no deadlines to submit your finished tracking sheets. When completed, either mail the finished tracking sheet or email [email protected]. Join the Club - Get Started Today! Step 1 - Register below for the OMHA Players Club. When you Register you will receive an exclusive HockeyShot discount code for Players Club members only. 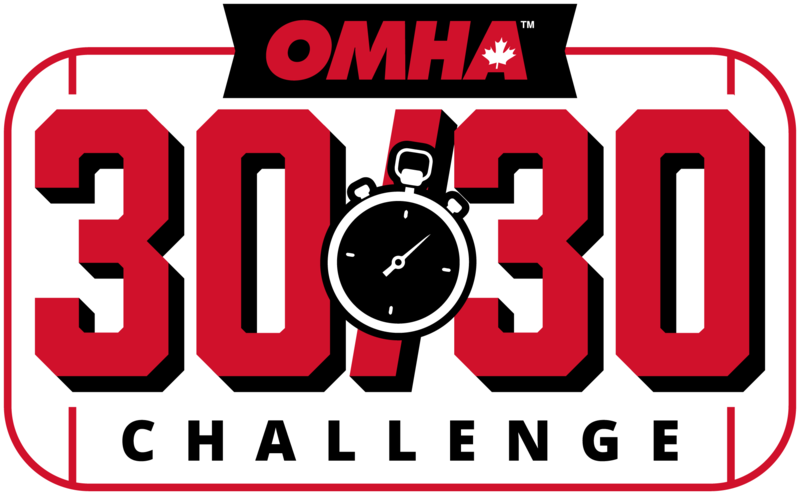 Step 2 – Participate in OMHA Players Club Challenges, events & activities! Step 4 - Tell your friends! So, how well do you think your shot would improve if you were to take 5000 shots over a 10-week period? Think it can’t be done? Think again! We have created a plan for players of all ages and abilities to follow over 10 weeks to accomplish this goal. 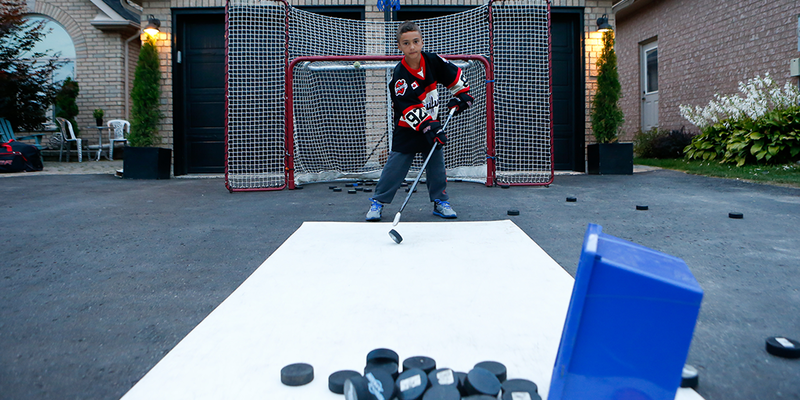 Shooting one hundred pucks a day, five days a week for ten weeks will help you develop your shooting & scoring skills at home. The PLAN: Shoot 5000 pucks in 10 weeks. How well do you think your stick handling would improve if you performed 10,000 Touches, stickhandling over an 8-week period? We have created a plan for players of all ages and abilities to follow over 8 weeks to accomplish this goal. So, how well do you think your agility, balance, coordination (ABCs) and speed can improve over an 8-week period? We have created age-appropriate programs for players of all abilities to follow over 8 weeks to accomplish this goal. This program was created as a development opportunity for hockey players to develop physical literacy skills and introduce them to an age-appropriate at-home dryland program. 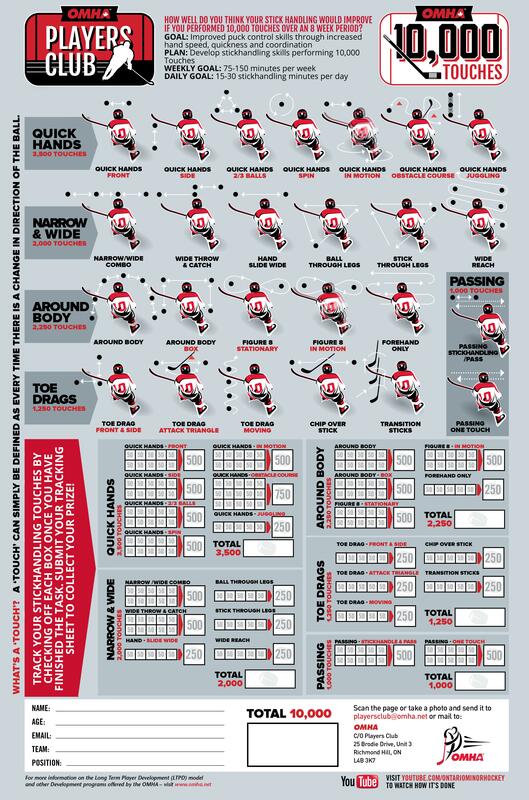 The National Skills Standards & Testing (NSST) is a series of six (6) individual skill tests for Players and three (3) for Goaltenders have been designed to measure the skill level of players. These tests can be administered by team coaches requiring very little equipment, expense and set up time.